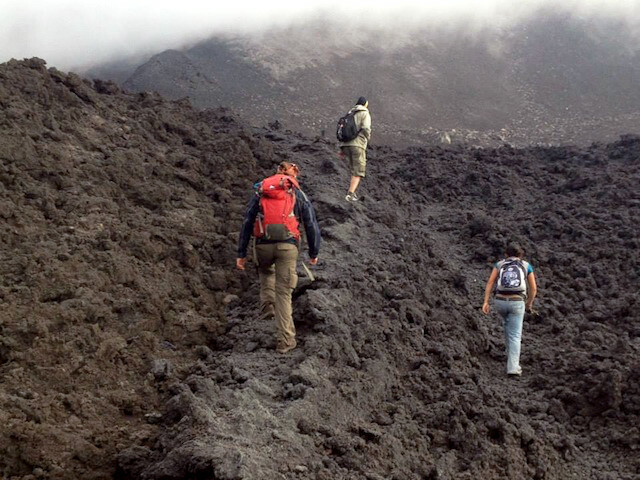 Before arriving in Guatemala's Antigua I was told hiking the active Pacaya Volcano was a must-have experience. I read articles and talked to locals, most touting the excursion as exciting and talking of beautiful sunsets and getting to see red, flowing lava. Standing at 8,373 feet (2,552 meters) it was one of Central America's most active volcanoes and one of only three active volcanoes in Guatemala (Pacaya is touted as the most active). And, according to locals, there had been activity just two weeks prior to my visit. I was excited. After hiking Pacaya myself, I can honestly say this is not what I experienced. While I enjoyed the hike (despite the 40-person group size) and found it provided a decent challenge traversing steep hills, when we reached an endless expanse of flat volcanic rock I was surprised when the guide told us we'd soon be turning around to head back. Where was the lava and smoke? What about the sunset? Why weren't we going further? While I figured safety would keep us from climbing to the actual crater I was told we would still see the flowing magma. What I saw was nothing but black rock. Don't get me wrong, I got to see unique Guatemalan vegetation up close — including the area's oldest tree at 400 years old. Plus, the volcanic landscape had an otherworldly feel and I'm glad I experienced it, especially for the equivalent of $16 USD including guide, transportation and park entrance; however, I had been promised a finale that wasn't delivered and it was disappointing. Maybe it was because two days prior I had hiked the lesser-known Indian's Nose from San Pedro and had experienced the most surreal sunrise of my life. Sitting above a blanket of bubbling clouds, San Pedro Volcano shrouded in black dragon-shaped clouds and streaked with neon pinks, purples, oranges, yellows and reds, I felt like I was sitting in heaven looking down on Lake Atitlan. Because Pacaya is even more popular and beloved than Indian's Nose I expected something at least equally amazing, if not more. It wasn't. 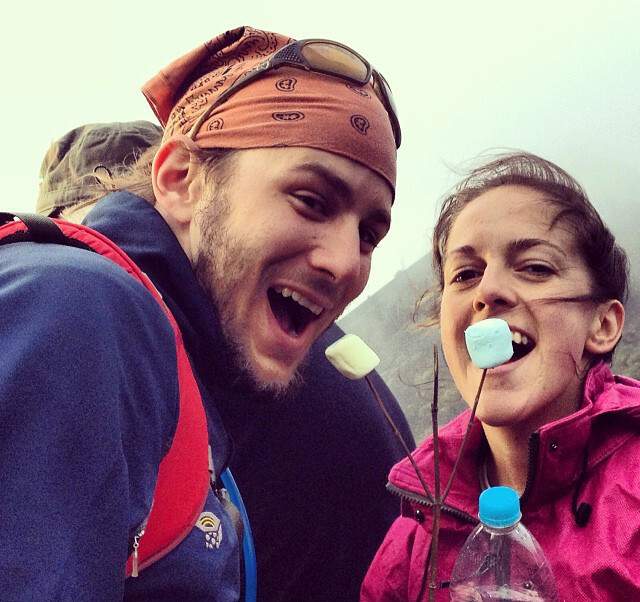 One highlight of the Pacaya Volcano trek I will mention is roasting marshmallows on hot volcanic rock. Without fire, you'll be able to toast marshmallows over stones using the volcano’s heat steaming up from under the earth. The photo of my boyfriend and I eating marshmallows was probably my favorite photo from the excursion. While I'm happy I got a cute picture out of it, I was hoping my most memorable photo would be of something actually relating to the volcano and its activity. Am I saying don't do the hike? No. I found it enjoyable and was glad I did it. That being said, don't go expecting it to be anything really out of the ordinary. I'm sure there are a number of factors affecting what you'll see, like the weather and recent activity, but don't assume you'll definitely see lava or a smoking crater. If you only have limited time in Guatemala there may be other ways you can spend your time more wisely: hiking Indian's Nose, having an eco-retreat at Earth Lodge, visiting the Mayan Villages around Lake Atitlan, and going back in time at Tikal, to name a few. So what do I recommend you do in Antigua? Along with simply walking around and admiring the colorful colonial architecture, historic ruins and peaceful plazas, I personally loved the chocolate museum, ChocoMuseo. 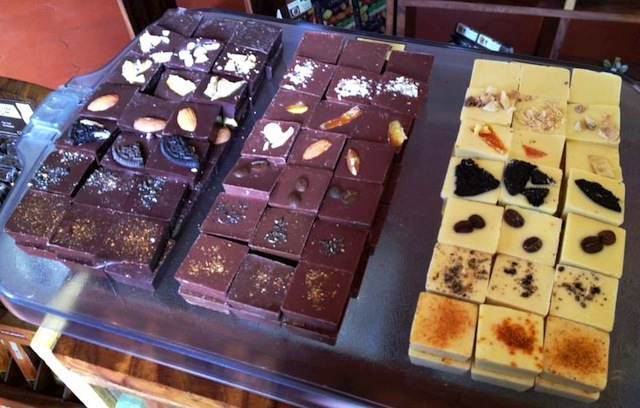 Here you'll enjoy free samples of fine Guatemalan chocolate and cacao tea, learn about its Mayan origins and how it helped to end slavery through exhibits, and partake in tree-to-bar and make-your-own chocolate classes. Down the street toward the Central Park you'll also find the Exposicion de Artesanias Guatemala, where you can learn about Guatemala's top products and try complimentary samples of chocolate and fruit wine. Another recommended Antigua experience is taking a free salsa lesson at Gloria y Moi Dance Academy, which take place daily at 5pm. Walking around you'll also find there's a rich cafe culture, great for people-watching, sampling Guatemala's renowned coffee and chatting up locals to practice your Spanish. And when the sun goes down you'll find no shortage of restaurants and bars offering ambient meals and great music. Keep in mind Antigua is possibly the most expensive city in Guatemala, so those 30 Quetzal (about $3.75 USD) dinners are much harder to find; however, there are a number of lively and inexpensive bars, some of which include No Se, Reilly's, and The Snug. 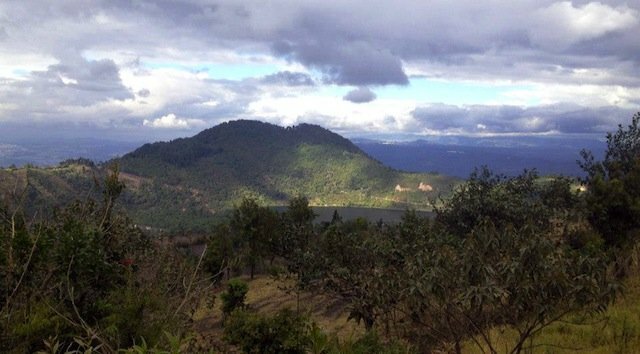 If you're going to be hiking Pacaya there are a few things to keep in mind. First of all, the trails are dusty and rocky, so sturdy, close-toed shoes are a must. If you don't think you can handle the climb on foot, horses are available for about $12.50 each way. At the bottom of the trail, local children sell handmade walking sticks for 5 Quetzales (about $0.63 USD) if you have shaky knees or want a little extra help. While I didn't use one and had no trouble without, I could see the benefit of having one. Bring snacks and at least two liters of water per person. Weather can be windy and unpredictable, so dress in layers and bring a wind jacket, hat and scarf. And if you're going at night — you can choose between a morning or evening hike — a flashlight will make the trek down much easier. TSNers! The above post is from our lovely blogging buddy, Jessie on a Journey. She knows her stuff. If you'd like to see the original, you can find it here. Otherwise, score for collaborations, and we hope you enjoy her stuff as much as we do.